Whether you’re a football fan or not, one thing is for certain – people love to gather up their friends for the Superbowl. Last year’s game had 108.4 million viewers. Some watch for the sport, some for the commercials, and some just use it as an excuse to stuff their face with the absolute best appetizers. 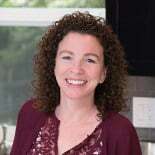 I usually never leave the kitchen, until I hear everything laughing or screaming. 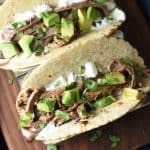 If you’re still planning what to serve, I’ve got 8 of my favorites! 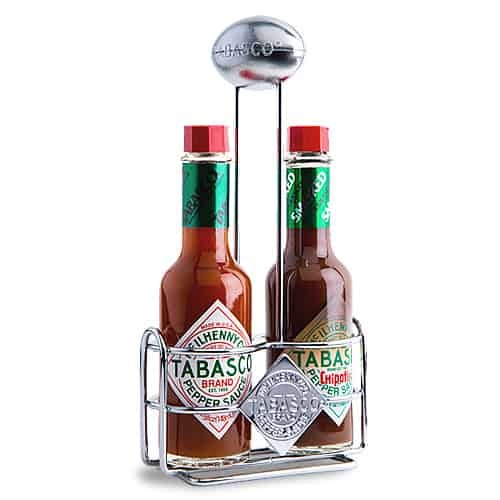 And my peeps over at Tabasco are offering up this fantastic caddy to use, which includes a 5 ounce bottle of Original Red Sauce and a 5 ounce bottle of Chipotle Sauce. 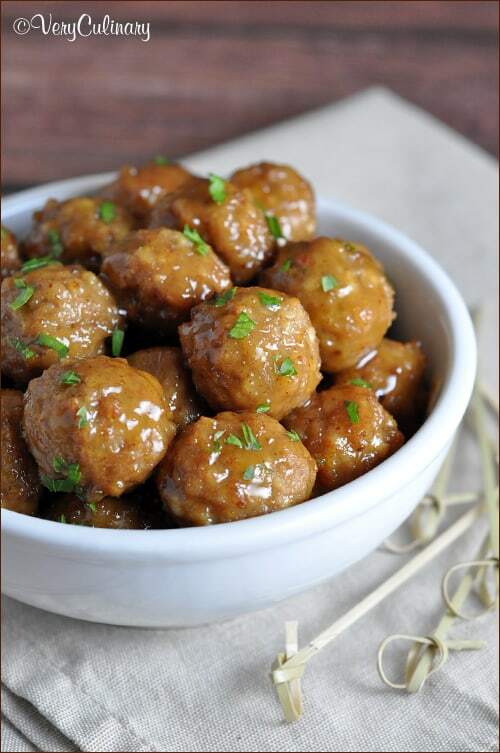 Sweet, Hot and Sour Cocktail Meatballs – Only six ingredients needed for these delicious sweet, hot and sour cocktail meatballs. A guaranteed hit at your party! 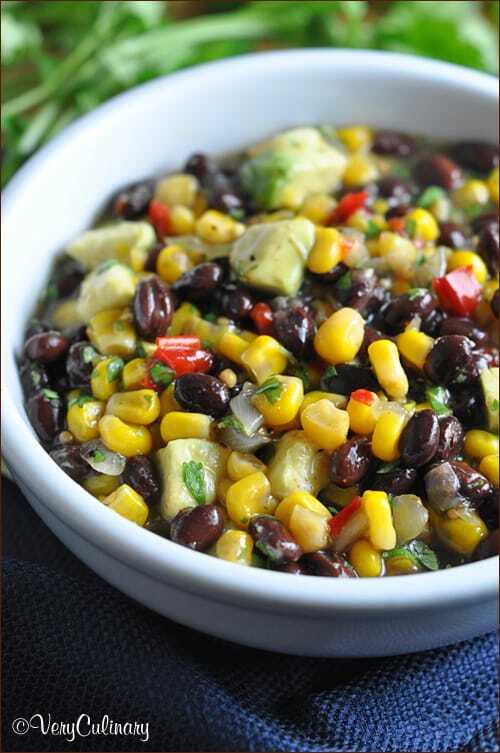 5-Minute Zesty Corn and Black Bean Salsa – A sweet, sour, and a little bit spicy corn bean salsa that comes together in 5 minutes! 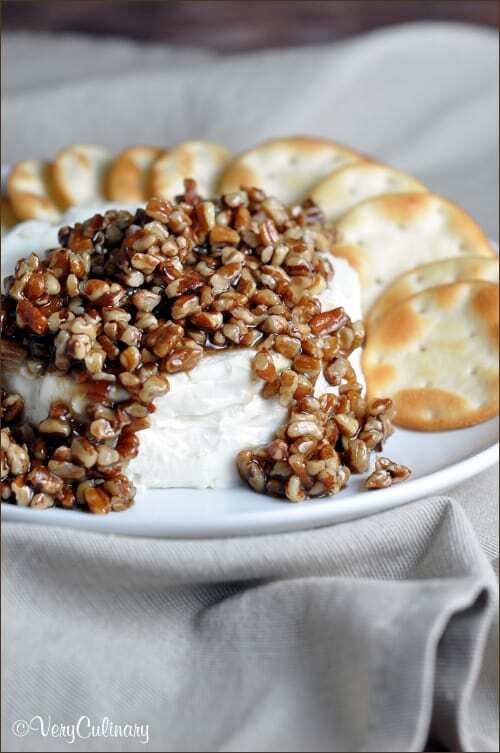 French Quarter Cheese Spread – this cheese spread with sugared pecans, is the perfect sweet and salty combo. 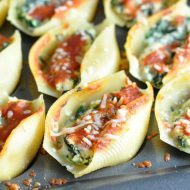 It’s super easy and makes a festive appetizer for get togethers! 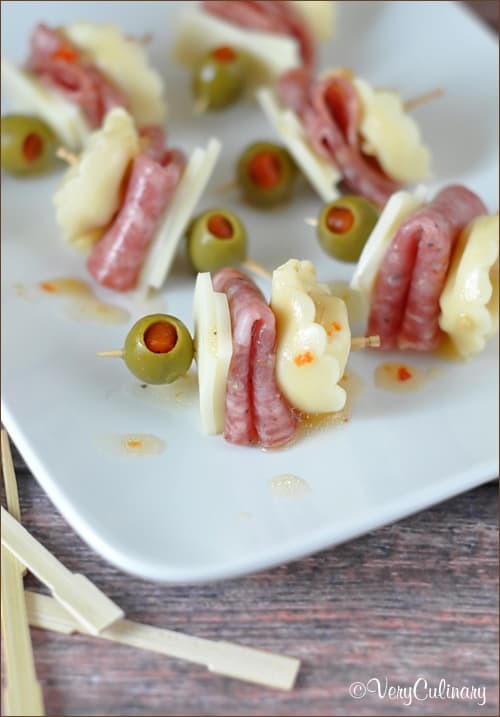 Mini Tortellini Kabobs – simple kabobs with a tangy Italian flair. And they can be made ahead of time! 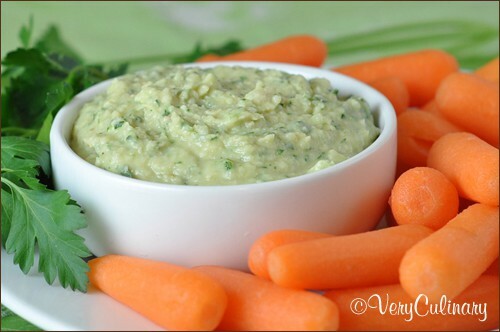 White Bean Dip – Simple and delicious vegetarian dip made with cannellini beans, garlic, lemon, and parsley. 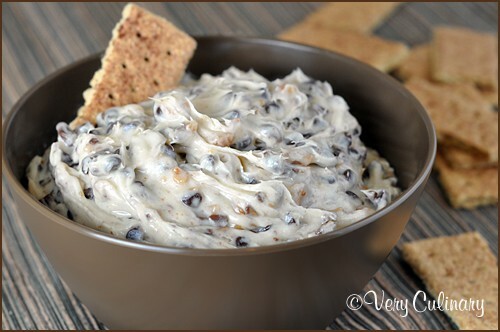 Cookie Dough Dip – Cookie dough dip made with chocolate chips, toffee bits, and no egg…so it’s perfectly safe to eat. Indulge away! 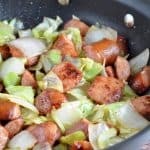 Crock Pot Apple Kielbasa Bites – The easiest 5-ingredient crock pot appetizer, without skimping on flavor. The sausage practically melts in your mouth from cooking all day. 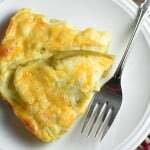 Dill Pickle Dip – A dip for dill pickle lovers. Whip up a batch in 10 minutes. And here are some Tabasco recipes you might like! I’m….going to be making dumplings with a friend this year and not watching the superbowl at all. It’s going to be great. 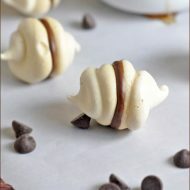 But I think these are so perfect for any party! Or just a random Friday night. 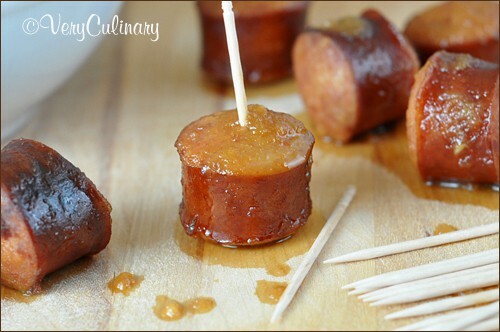 Glad I saw this, I am in the mood for Kielbasa and am going to make these bites for the super bowl party. Thanks, Kathie. You’ll love them! I’ll be at work for the game, but I think you had me at apple and kielbasa. I’ll definitely be trying this! I cant wait to try all of them!!! Im going to do itthis Sundayfor the superbowl :) thanks you! Dude, those are some seriously awesome looking appetizers!! That cheese is making me drool. I want to come to your house for the SB – why on earth don’t we live closer! And I’m a SERIOUS Tobasco lover (the green is my favorite but I love them all)! 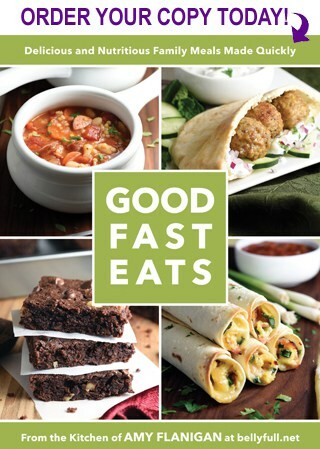 I love each of those choices, but the tortellini kabobs are totally calling my name right now – so fun! And yeah, I’m pretty sure that I NEED that Tabasco caddy. I love love love appetizers. 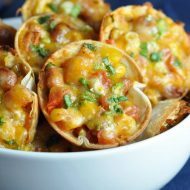 The superbowl is pretty much just an excuse to gorge myself on appetizers so I love posts like this! 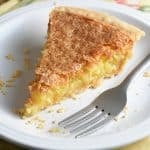 What a great collection of recipes for the game, and I love that French Quarter Cheese Spread, being originally from New Orleans that’s one I’ve got to try. I want every single app. And that caddy! 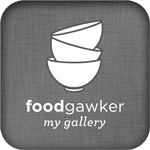 Great appetizer roundup, everything looks delicious!